Strawberry Fair is an annual event held at the beginning of summer which promotes an alternative lifestyle, in many ways an imitation of similar events in the late 1960s and early 1970s (this particular fair itself dates from 1974). Back then the issues of the day included capitalism, drugs and the Vietnam War. In 2000 they included capitalism, drugs and genetically modified food. 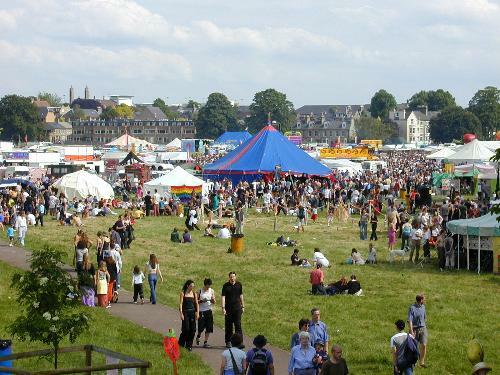 The fair did not occur in 2010 because of security concerns expressed by the police. It started up again in 2011.